Do you suspect that you have termites in your Westminster, California, home? Have you noticed pinpoint holes in your walls, creaky floors, stuck windows and doors, or damaged wood? If so, you should have an experienced professional examine your home as quickly as possible. Fortunately, you can turn to Kilter Termite and Pest Control for a completely free termite inspection that comes with no obligation. Your free termite inspection will be performed by an experienced and trained technician who will provide you with an honest report. If we find termites in your home, we can discuss our termite control solutions. Unlike most other companies that only offer fumigation, we can provide a much more convenient yet highly effective solution using our innovative KILGUARD system. KILGUARD is a targeted termite control system that doesn’t involve fumes or strong odors. In fact, it’s not toxic to humans or common pets. This means that, unlike with fumigation, you won’t have to leave your home for days at a time and spend more money on a hotel or inconvenience friends or family. Best of all, our system completely eliminates both subterranean and drywood termites – a claim we back with an industry-leading warranty. 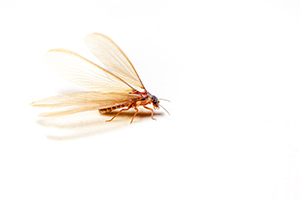 Learn more about the termite control services that Kilter Termite and Pest Control provides and schedule a free termite inspection at your home in Westminster, CA, by contacting us today.